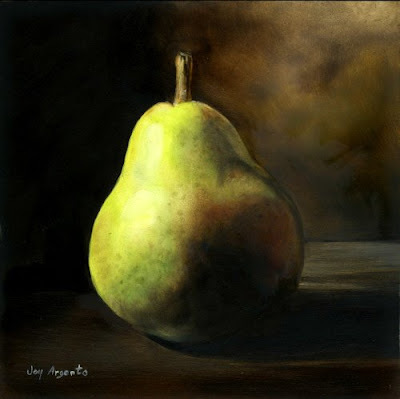 This features a single pear with plenty of personallity! It looks much nicer in person than it appears online. I just couldn't get the best picture of this one. It is painted in oil on hardboard and measures 6x6.